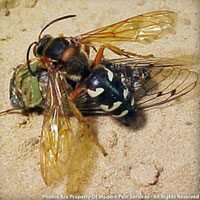 Bald-faced Hornets are about 5/8 to 3/4+ inch in length, and queens are generally a little larger. 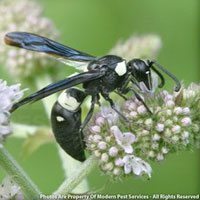 They are mostly black with a white pattern on the face, along with a few white markings on their body. 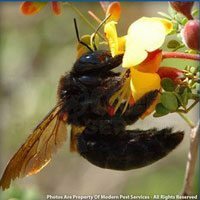 The queen picks the location of the nest, which can vary between shrubs, trees, houses, sheds, utility posts, or other structures. Nests are normally in exposed areas and they can be quite impressive in size. 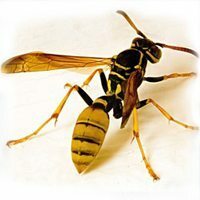 Bothered by hornets? 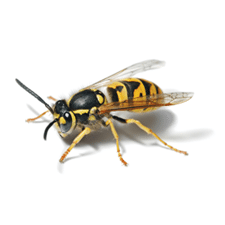 Get a FREE pest removal quote or contact your local pest control specialist today! Adults feed mainly on fruit juices and other sweets. The adults feed the larvae chewed up meat or insect parts. 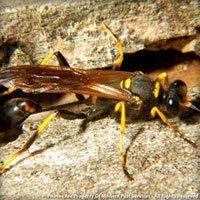 The inseminated queen uses chewed up wood fibers to build a paper nest. Eggs are laid in the cells, and as they hatch, the larvae are fed by the queen. 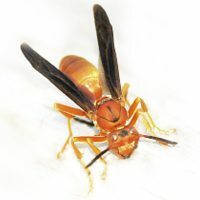 As the colony grows, the workers take over enlarging the nest and feeding the larvae, leaving the queen to produce eggs.